It’s me, the D.O. double gizzle. I’m not that good at drinking. By that, I mean I’m not that good at drinking alcohol. Actually, I’m not that good at drinking anything, but I’m an especially bad boozer. I don’t booze well. Two sips into a glass of Nuvo, and I’m Snoopier than Tha Doggfather himself. The first night I ever got certifiably crunked, I freestyled for my entire family and my brother-in-law’s family, who I’d never really met before. Fortunately, my sister filmed it and put it on Facebook. Unfortunately, I’m not going to share it here because 1) I don’t know how to download videos off Facebook, and 2) It’s very rather shameful. I will share my best lines, though. Upon leaving the bar, I often begin walking with a gangsta lean. I suffer from a bum knee that only ever flares up after a drink or two. It’s a serious ailment, belee dat. I become obsessed with blunts. Not blunts made of the marijuana! What do you think I am, a weed criminal?! 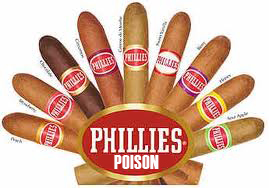 I get obsessed with Phillie blunts, a perfectly legal, perfectly awful, cigar. I became obsessed with Phillie blunts last New Year’s Eve. After getting stuck with a pack of them at a Christmas party Yankee Swap, I thought it’d be a nice gift to bring to my cousin’s New Year’s Eve party. A few minutes before midnight, and after a few drinks, I decided it was time to get to Phillie blunting. I had no intention of smoking the cigar — I’d barely ever even seen one up close — but I thought it’d be fun to light one. The flame had yet to touch the tip of the cigar before I started dry heaving/convulsing. I thought cigars would taste like Cuban sangwiches or grape leaves or something. I was wrong; they taste like straight lung venom. I’ll tell you why I ain’t get so throwed everyday. Even though Snoop Dogg is a much better person than I am, strangers don’t seem to appreciate when I take on the persona of a 41-year-old former Crip. Cab drivers don’t like when I accuse them of “trippin”. My peers (other 41-year-old former Crips) don’t like when I introduce myself to them with complicated handshakes. Bartenders of fancy nightclubs don’t like when I order a gin and juice and then don’t know what kind of juice I want. 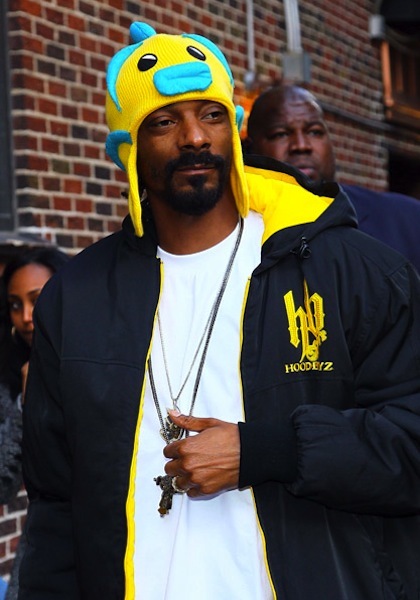 This entry was posted in Uncategorized and tagged classy, humor, I wish I were Snoop Dogg, I'd settle for Soulja Boy, JUSS PLAYIN, music on February 1, 2012 by classygallie. I should probably stop reading your blog at work, because my co-workers are starting to wonder what that muffled snorting sound coming from my cubicle is. “Bartenders of fancy nightclubs don’t like when I order a gin and juice and then don’t know what kind of juice I want.” Freaking hilarious! agreed! i spat my lentil lunch all over my work monitor when i read this.